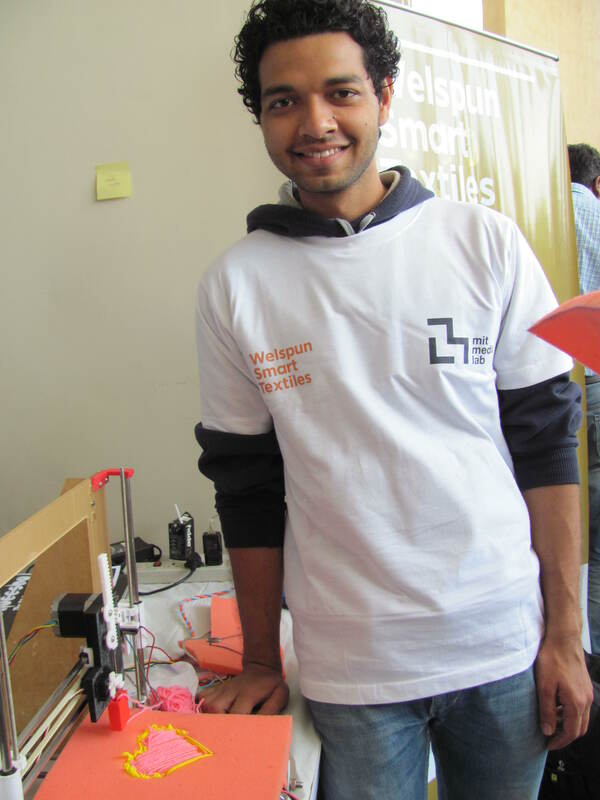 A team of three students, Shreyas Kapur (16) of Modern School, New Delhi, Kaustubh Shivdikar (20) of Veermata Jijabai Technological Institute, Mumbai, and International Institute of Information Technology, Bangalore alumnus Nitesh Kadyan (25), recently created a three-dimensional (3-D) printer that can print using fabric. As part of the Smart Textiles track at the recent 2015 MIT Design Innovation Workshop, the team has developed a prototype of the 3-D fabric printer using the RepRap open-source hardware and software. 3-D printing is primarily a process that is used to make a three-dimensional object. The printer uses additive manufacturing over the traditional subtractive manufacturing. In subtractive manufacturing, the excess material is milled or subtracted using a milling machine to get the desired shape. In additive manufacturing, however, the 3-D printer produces successive layers of the desired material under computer control until the entire object is created, preventing wastage of material. The objects printed by a 3-D printer, therefore, can be of almost any shape or geometry. The focus of the Smart Textiles track at the MIT Workshop was to reimagine “the seamless integration of textiles with electronic elements like micro-controllers, sensors, and actuators”. Even though the use of 3-D printers is now being explored in several areas such as healthcare, automobiles, manufacturing, food, and consumer goods, using the technique to print fabric samples is a less explored area as of today. With the prototype, the trio explore a mix of 3-D printing and conductive thread that can allow users to print circuits inside wearable fabric. On a simpler and lighter note, the 3-D fabric printer could allow users to print soft toys at home! Creating the 3-D printable design model of the desired object with a computer aided design (CAD) software. The file of the model is converted into a .STL or .OBJ format that is readable to the printing software. The converted file is processed by a software called Slicer which converts the 3-D model into multiple thin 2-D layers and produces a G-code that contains instructions tailored to a 3-D printer. Once the G-code is generated, the 3-D printer lays down successive 2-D layers of the input material (plastic, resin and even food pastes like chocolate) to create the 3-D model from a series of cross sections. This laying down happens in different ways for different materials. For example, plastic requires a heating extruder to melt it and extrude, while resin requires a laser beam to cure it. The layers, which correspond to the virtual cross sections from the CAD model, are joined or automatically fused to create the final shape. To create the 3-D fabric printer prototype, the team has followed a similar process but instead of using the hot extruder that is used in plastic printing, it used a felting needle which moved up and down through a thick foam base. 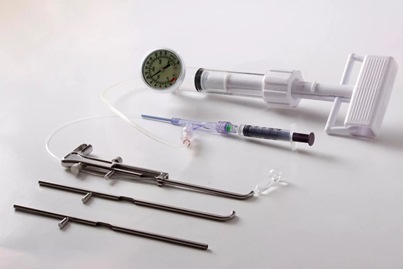 Here is how the prototype works: the felting needle is connected to wool and the up-down movement pushes the wool inside the foam base. The movement of the base in the 2-D space provides shape to a layer and the process continues til the final object is created. 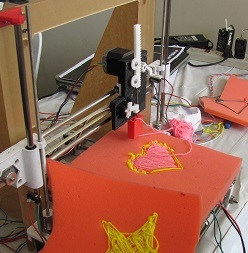 To do this, the team used an old 3-D printer and custom-made a felting needle which used wool as the primary input. There are multiple use cases for the prototype. “Just imagine if you can print soft toys for your kids at your home. Imagine if you have a washable sensor-based circuit inside your t-shirt which is connected to LEDs to tell you if it’s going to rain or not in your area. Another example could be a health monitoring shirt which can read our pulse rate. All this could be possible if we have a 3-D printer that prints with soft materials like wool or with conductive thread. Possibilities are endless,” says Nitesh. A similar experiment has been done by students at Carnegie Mellon University and by the Walt Disney Company. However, both were proprietary experiments. Team Squeeshy aims to contact the RepRap team and work with them to build the prototype further, improve its felting mechanism, performance and design, and make the project open source. To contact the innovators, write to niteshkadyan@gmail.com. 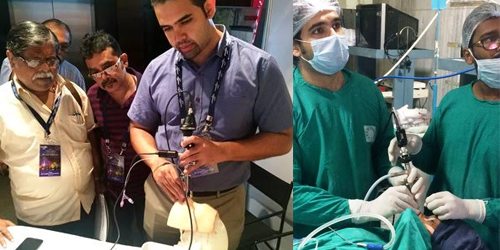 This article is part of a series on innovations presented at the 2015 MIT Design Innovation Workshop. A team of three students, Bisman Deu, Rayvin Thingnam, and Ekambir Singh, has invented “Green Wood” made out of recycled rice husks and straw that could be used an as alternative building material. Majority of the world’s population eat rice as a staple food, and the crop dominates cereal production in many developing countries. The threshing of rice produces unwanted husks and straw, and the options for disposal are limited: burning, composting or feeding to animals on the farm. The residues have no commercial value and therefore the farmers end up burning the rice waste – causing air pollution, killing crop-friendly insects and making the topmost layer of soil partially infertile due to loss of nutrients. As a cost-effective solution to this, the three-member team used rice husks and straw as the raw material, mixed the waste with a resin, and pressed the mixture into particle boards. The new particle boards are fungi- and mould-proof, waterproof, and affordable.